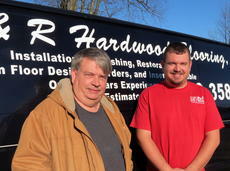 R & R Hardwood Flooring, Inc., located at 1805 Greensburg Road in Buffalo, is a family owned and operated business that offers installation, refinishing, restoration, custom floor designs, borders and inserts. 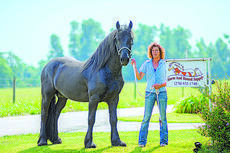 Owners Ronnie and Paula Haysley started the business in LaRue County in 1993. Their son Dale joined them after he graduated from LaRue County High School in 2007. As more people show a propensity to wholesome locally grown food that is sustainable, one LaRue county farm is here to offer just that. What they offer may not be what you expect. Brian and Denise Martin have been raising goats since 2003. They started with a few goats and loved it so much they grew their herd. The Martins raise African Boer Goats, which are considered the best for meat production. 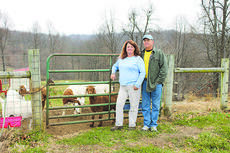 “We take good care of our goats, their living conditions are optimal and we work hard to make sure our herd stays healthy.” said owner Denise Martin. Though John “Tommy” Gardner, owner and operator of Gardner’s Body Shop, has been in business at his present location at 2319 Lincoln Farm Road since 1989, his experience with his craft goes back much farther. “I painted my first car, a 1964 Ford, when I was 15 working at Byerly Ford in Louisville,” Gardner said. His father, Wilburn “Shorty” Gardner was body shop manager for 12 years at Byerly. Gardner learned the trade from his father and the other body men with whom he worked. 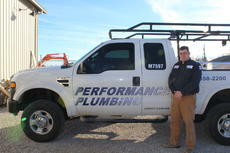 A local plumbing business is thriving in LaRue County. Performance Plumbing is a local business that provides plumbing services including the installation and maintenance of pipes, drains, fittings, fixtures, valves and other devices that are used for the distribution of potable water for drinking, washing and waste removal. 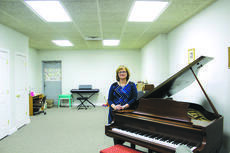 The business is located on 1250 Old Elizabethtown Road in Hodgenville. A local electric installation company keeps the lights on for hundreds of their clients across the state and country. David Whelan Electrical is located on 1250 Old Elizabethtown Road in Hodgenville. The business performs a wide variety of electrical services for their clients including designing, installation, maintenance and troubleshooting of electrical wiring systems. 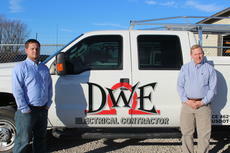 Founding owner David Whelan said he worked as a part-time electrician from his home for several years before becoming a full-time electrician in 2006 and opening DWE at its current location. For anyone driving on Greensburg Road in Buffalo, it’s almost impossible to notice the high performance racing engines that are being serviced inside the hidden location of Dale Meers Racing Engines. 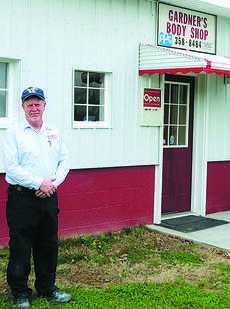 Owner Dale Meers has been drag racing since 1976 and he opened his business at its current location in 2002. Today’s workforce has seen a shift away from the standard job with fixed salary and paid holidays. For many reasons, more people than ever are choosing a freelance career. Unconditional love. That’s what the staff at LaRue County Animal Clinic says that our pet animals give us. Dr. Clint Durham, Harley Walters, and Carol Tucker, at the clinic on Highway 1607, strive to reciprocate that affection in their treatment of their patients. 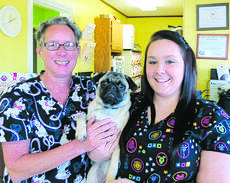 “We offer quality, compassionate, up-to-date care for all of the fur-babies that come here,” said Tucker, receptionist. The clinic has been at its current location since 1979. A full-service, veterinary hospital, it offers comprehensive medical, surgical, and dental care.